LPL Financial Advisor Michael J. Schoeder is committed to helping you pursue your financial objectives. As your goals change over time, Michael will actively monitor your investments and work closely with you to formulate an individualized roadmap to help you invest, diversify your holdings and pursue your plans for the future. 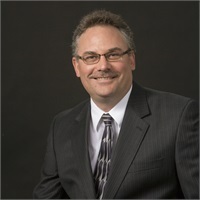 Serving the southeast Wisconsin region (Janesville, Delavan, Stoughton, Oregon), Michael has 29 years of experience, including 10 years with Old National Investments. He received a bachelor’s degree in Finance from the University of Wisconsin-Whitewater. He is a past Grand Knight and current member of Knights of Columbus; and a past parish council member, a past finance committee member, a current parishioner, a lectern reader, an Eucharistic minister and a choir member at St. Williams Catholic Church. He enjoys golf, bowling, card playing, darts and billiards.